The news of a person’s death will definitely come as a heartbreaking surprise to everyone he or she is acquainted to. Forming words of condolences and sympathy for your card will not be very hard, as long as you articulate your deep feelings of sorrow for the deceased. Your sympathetic message will certainly give comfort to the family and close friends in this very rough times. 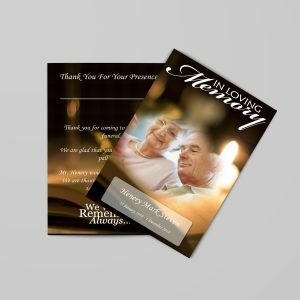 Why Sympathy Card for a Funeral? Other people may prefer sending a flower arrangement as a form of their condolence. But certainly, words are rather more commanding and would definitely get your sincerity across to the family of the deceased. 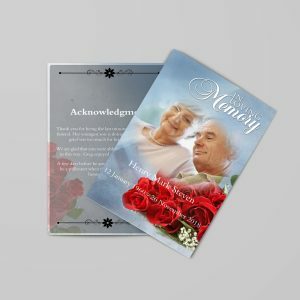 Therefore, a funeral card can be the best option. Basic rules in writing your funeral card are simple and very realistic. Messages should be brief and concise, highlighting your true feelings and thoughts. 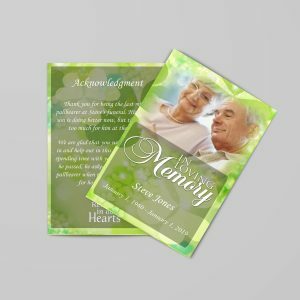 Photos can also be included with your funeral card, which would remember the good times you have spent with the deceased. The contents of your card will not only console the family and close relatives of the deceased, but will also remind them to move on with their lives and not dwell on the past. Make the family feel that they can depend on your support and assistance in case they would need you. In your card, you can quote a verse in the bible or any inspirational saying that you feel is appropriate for what you are feeling. Writing a memorable experience with the deceased person is also apt, especially if it would bring cheerfulness to the family, and for that just moment they may forget the grief they are feeling and just celebrate the deceased life. Your message should contain words of positive reception and gratitude regarding the deceased person to lift the dampen spirits of the immediate family. It is important for you to show recognition and respect for having to meet somebody who has served his life’s purpose very well on Earth. Thoughtful and kind words can be included in your message such as “in this time of grief and sadness, may God’s spirit uplift you”, “in these tough times, I am always here to give a helping hand” and “he or she has inspired me a lot to go on with life, no matter what”. Your sincere sympathy and condolences put into writing will definitely help the family move on with their lives as they find support and console through your endearing message.